Work out at home instead of the Gym. The Home Gym is one of the most versatile cable machines within the fitness industry. It is often called the Swiss Army Knife of the Home Gym Equipment. It’s also the next choice a budding fitness enthusiast will make after progressing from free weights because of the variety of exercises that can be performed to activate almost all the muscle groups. 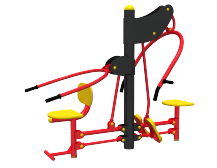 For a more varied and comprehensive workout get in touch with us about our home gym exercise equipment, view or range below or read on to find our more. There’s no monthly membership fee. Home gym equipment gives you the option to venture out to the nearest commercial gym to soak in the atmosphere or to merely train hard in the comfort of your own home. Dedication and consistent training will help you perfect your technique on the heavy bag. It also allows you to get a full-body cardio workout at home with your home exercise equipment. Rowing machines target a considerable amount of muscles in the body. In fact, 80% of your muscles are engaged and they do so simultaneously very few other machines will do that. They can help you improve your fitness level in a variety of ways by building and toning muscle, strengthening your cardiovascular system, and improving your endurance. It’s also perfect for the time challenged athlete or enthusiast. A firm favorite with everyone, as running has stood the test of time and with good reason. It works. While the initial cost can be high the benefits of a treadmill are undeniable. Dumbbells are one of the most versatile pieces of equipment, and adjustable weights give you even greater scope to add to that versatility. If you want to get more out of your free weights, a bench can go a long way. It will increase the number of exercises you can perform as well as help you maintain proper form. Having a comfortable, reliable base is essential for anyone who regularly performs workouts on the floor. If you set up a pull-up bar in a doorway of your home and use it religiously, you will be surprised at both the strength and aesthetic improvements your body will make. If you’re looking for a convenient and inexpensive way to get your cardio in then, a jump rope is a purchase you won’t soon regret. An ab wheel is a great way to mix up your core routine and chisel your midsection. Sometimes all the bells and whistles aren’t necessary, for a more affordable option you might want to try one of our minimalist treadmills. if you can’t decide on which piece of fitness equipment is right for your goals, then you might want to consider a Multi-Cable Machine. 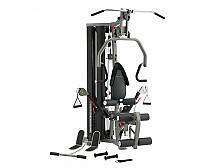 Also known as a Functional Trainer, he Multi-Cable gym is the Swiss army knife of cable machines. It will help you improve your strength and increase muscle mass. And It has a huge variety of exercises for the smallest foot print available. We keep premium quality and entry-level machines to suit all budgets, including yours. Regardless of what your fitness goals may be, our dedicated team will work with you to ensure you get exactly what you need to achieve them at the lowest possible cost. Contact us directly or Visit our large showroom where you can browse and try the equipment in a friendly, no pressure environment.